Valentine's Day is just around the corner. Surprise your students with this Owl Valentine Bookmark. That's it. Super easy!! Hope you have a very happy Valentine's Day!!! Happy Creating! 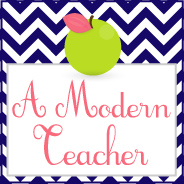 Please head to A Modern Teacher for more DIY Projects!